Avoid crowded tourist hotspots and discover the lesser-known wonders of the world with this beautifully illustrated guide to off-the-beaten-track sights, experiences and destinations. A team of travel experts take some of the world's best-known destinations - everything from over-visited national parks to crowded museums - and reveal more than 1,000 fascinating alternatives. 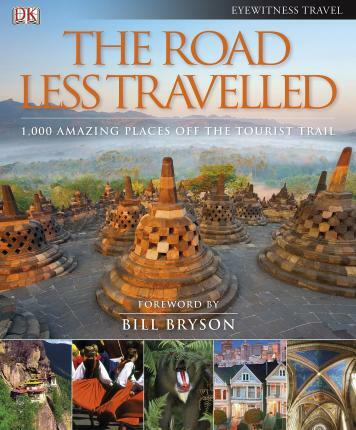 With expert advice and insider tips, this inspiring book will open your eyes to a wealth of new travel ideas. If you liked Petra in Jordan, you'll love the amazing rock-hewn temples of Ellora in India. Diving at Australia's Christmas Island makes a fantastic alternative to the better-known Great Barrier Reef, and breathtaking Borobudur in Java gives touristy Angkor Wat a run for its money. If it's the cities you love, our expert writers will show you the alternative, less-explored sides of the world's most visited metropolises. About DK Eyewitness Travel: DK's award-winning travel books take the work out of planning your next adventure, with inspirational images, tips, and information to enrich your journey. DK is the world's leading illustrated reference publisher, producing beautifully designed books for adults and children in over 120 countries. Illustrations note col. Illustrations, col. maps, col. port. Bill Bryson was born in Des Moines, Iowa, and grew up there, but has spent most of his adult life in Britain. He has worked for a number of newspapers, including The Times and the Independent. His books on the English language include Mother Tongue and Troublesome Words, both published by Penguin. Bill Bryson is the author of several bestsellers including The Lost Continent, Neither Here Nor There, Notes from a Small Island, A Walk in the Woods, Notes from a Big Country, Down Under, A Short History of Nearly Everything, One Summer: America 1927 and his memoir, The Life and Times of the Thunderbolt Kid. His most recent bestseller is The Road to Little Dribbling.